On the southern leg of the P.T. Barnum's tour, Anna Haining Swan would meet Martin Van Buren Bates. Soon after, they would enter the record books. Getty ImagesLeft: Anna Haining Swan, standing next to her average-sized parents. Right: Martin Van Buren Bates standing next to an average-sized man. Anna Haining Swan was born in 1846, in Tatamagouche, Nova Scotia. Her parents were both of average height and weight, so imagine their surprise when their daughter was born weighing 16 pounds. Before she was four years old, she would reach four and a half feet. She grew another 7 inches that year. By the time she was 11, she was taller than her father, at 6 feet 2 inches, and weighed almost 200 pounds. It would be another seven years before she reached her full height of 7 feet 11 inches. On her 17th birthday, she was noticed by P.T. Barnum, of the Barnum and Bailey Circus, and started her career working at his New York Museum. Her usual routine featured her alongside Tom Thumb, the museum’s famous midget, to better accentuate both of their sizes. Though her size was what made her so fascinating for museum-goers, it was almost her downfall. In 1865, after a fire erupted in the basement offices, Barnum’s museum burned to the ground. Most people inside were able to escape by going out the windows, or down the stairs. However, due to her size, Anna didn’t fit through the windows, and by the time she realized it, the stairs were on fire. She was also too heavy for firefighters to carry. Eventually, a crane had to be brought in to knock a section of the wall out and lower her down. Though the museum reopened a short time later, it burned down again in 1868, and Anna lost all of her possessions inside. After two fires at the Barnum Museum, Anna decided she had enough, and moved back home to Nova Scotia. 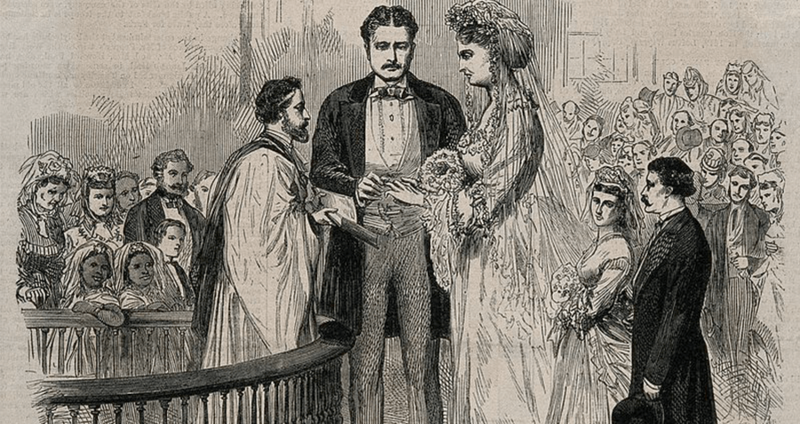 A year after she’d left him, P.T.Barnum invited Anna on a tour of the United States. Anna agreed and returned stateside to travel with him. She had no idea that the tour would end up changing her life. While on the southern leg of the tour, Anna met Martin Van Buren Bates, of Kentucky. Bates was a Confederate Captain during the Civil War and was eloquent, charming and soft-spoken. He was also 7 feet 9 inches. The two were immediately taken with each other and married just a year later. The couple was known as the “World’s Tallest Couple,” and people from around the globe showered them with letters and wedding gifts. Queen Victoria herself sent the two a pair of extra-large diamond-studded gold watches. After the wedding in 1871, the pair retired to Seville, Ohio, where Martin built a custom home for them, in which the ceilings, doorways, and furniture were all oversized for their comfort. The main part of the house had 14-foot ceilings, and the doors were all 8 feet tall and extra wide. Martin also had an average sized house built in the back of the home for servants and guests. 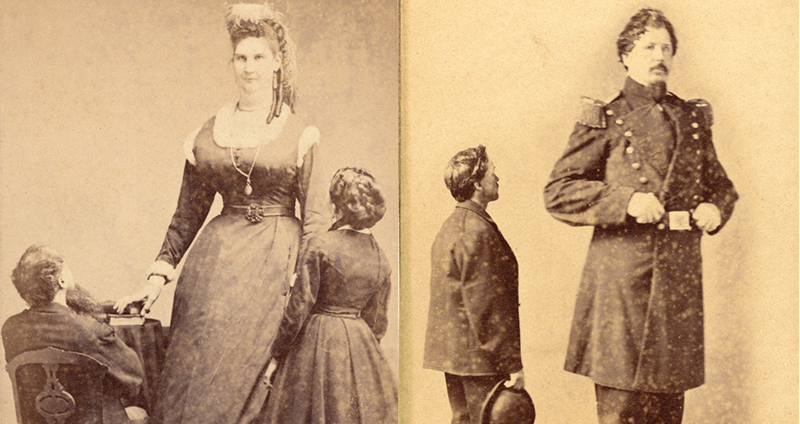 However, as they had become such an international sensation during their wedding, the world’s tallest couple continued to tour around the country with P.T. Barnum. During their tour, Anna became pregnant with the couples first child, a girl. Sadly, the child was born weighing 18 pounds and died at birth. The couple’s second child was born the next winter and weighed 23 pounds, was 30 inches long, and each of his feet were six inches. He was the largest newborn ever recorded, and Anna was awarded a Guinness World Record. The baby, however, only survived 11 hours. 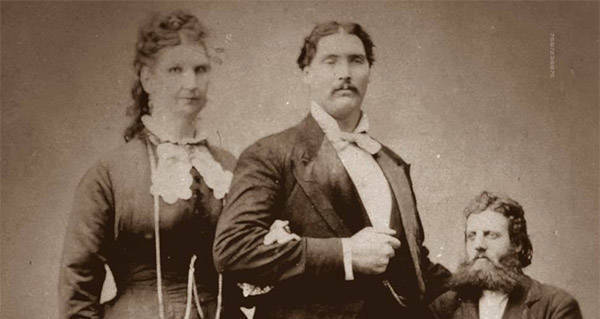 After the death’s of their children, the tallest couple began touring with the W.W. Cole Circus. However, they only did two tours before retiring and moving home. In 1888, Anna passed away at the age of 41, and Martin buried her in the town of Seville. He ordered a statue from Europe of a 15-foot-tall Greek Goddess, which he placed atop her grave. Martin died in 1919 and was buried next to Anna. Enjoyed this artile on the World’s tallest couple? Check out the 3-D printed shoes made for the world’s tallest teenager. Then, see the view from the Burj Khalifa, the world’s tallest building. Finally, see some images of Andre the Giant that will astound you.